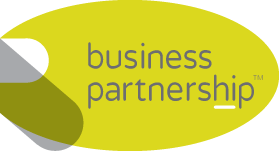 Selling a business in Burton on Trent, talk to your local expert. If you are selling a business in Burton on Trent, we can help. We bring years of professional expertise to ensure you get the very best value. We provide straightforward advice based upon our years of knowledge and experience of all aspects of selling businesses around Burton on Trent. We help our clients who, just like you, want to achieve the best outcome when they sell their business. Famous for being the brewing capital of the UK, Burton on Trent is home to many well-known names such as Coors, Marstons and Bass as well as many smaller independent breweries. In addition to its prowess in the brewing industry, the town also has a strong presence in the manufacturing retail and service sectors not forgetting, of course, being the home of Marmite. Burton on Trent has a strong tradition of business enterprise and continues to attract new investment.